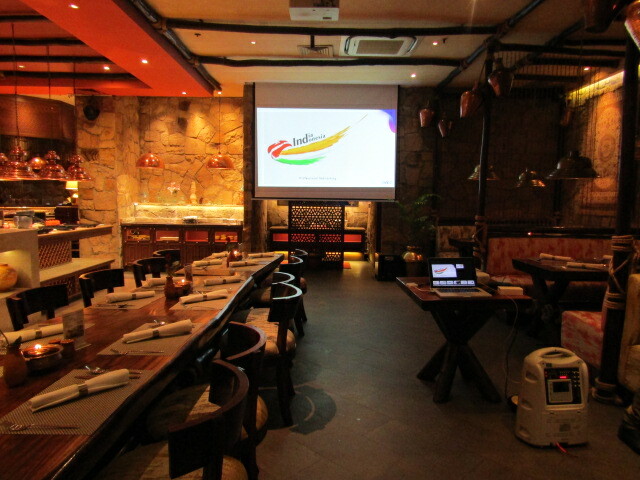 On January 30th, EMC Group supported by Indoindians as media partner organized India Indonesia Professional Networking 2019 at The Royal Kitchen, Kuningan, Jakarta. Professional participants from various background in digital industries attended the event started from 5 PM. EMC held this event in order to discuss and increase awareness regarding how digital marketing is able to drive significant impact on your business growth. 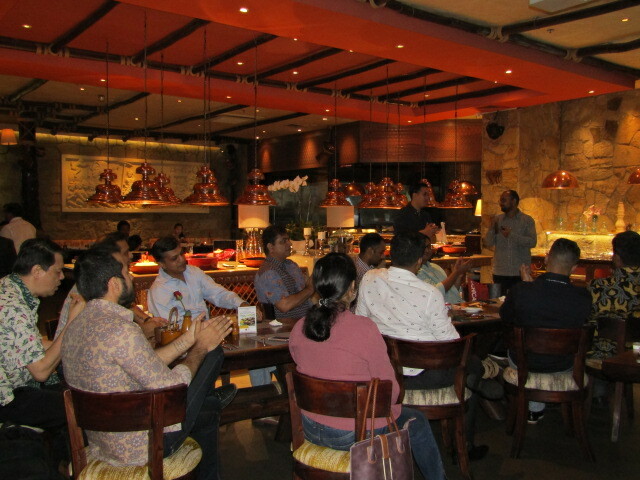 India Indonesia Professional Networking 2019 was inspired by the idea that many Indian entrepreneurs in Indonesia are thriving, especially in technology and science industries. 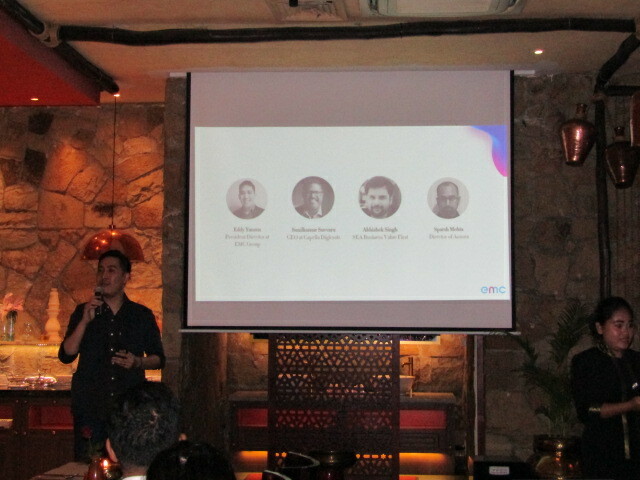 Besides connecting Indian professionals in Indonesia, this occasion intended to deliver insights to the participants in grasping the concept of data trends and its implementation in digital marketing activity. At 6 PM, the event commenced with a concise speech from Eddy Yansen, President Director of EMC Group. He presented brief introduction of EMC Group company that includes Data-Driven Marketing and its related technology. This presentation was followed by other keynote speakers, CEO of Capella Digicrats, Sunilkumar Suvvaru, Abishek Singh as VP of SEA Business Value First, and Sparsh Mehta, Director of Aozora. Each of them detailed the topics about Digital Marketing Trends, utilisation of Artificial Intelligence, and Technology of Marketing Stack (Automation). They also explain of how each of company they represent performs these technology to process customer data for effective measurement. A Data-Driven Digital Marketing and Consulting Firm from Indonesia. In 2016, EMC Group became part of FreakOut Holdings, inc, one of the largest Ad-Tech companies in Japan. Currently EMC Group continues to develop and educate products and services that utilise Big-Data to support the marketing process of a company. One of which is a unique chatbot, namely Banner-bot, where digital banner ads are converted into banners with interactive conversations tailored to your marketing goals.